About fifteen years ago Andrew, 11th Duke of Devonshire, commissioned an extensive archaeological survey of the Chatsworth estate, a summary of which was published as John Barnatt & Tom Williamson, Chatsworth: a landscape history (Windgather 2005). Chatsworth has, of course, been repeatedly written up, ever since the Bachelor 6th Duke produced his privately printed Handbook of Chatsworth and Hardwick in 1845. The recent survey pulls together a full review of the archaeology and the estate’s enormous archive, backed by the evidence of maps, illustrations and modern photography. This reveals a layered chronology of a significant area of the upland Derbyshire Peak back to prehistoric times. In particular, since the mid-eighteenth century much of the landscape has been undisturbed, leaving evidence of prehistoric, medieval and early modern agriculture and industry that has been obliterated elsewhere in the county. 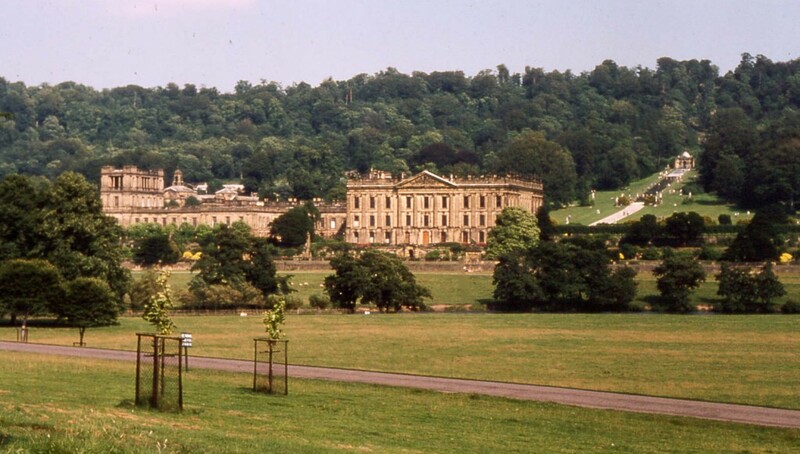 The shadowy presence of the great landscape designer, Lancelot ‘Capability’ Brown, who is mentioned only once in the entire Chatsworth archive, is made clearer because almost all payments in the estate accounts were addressed to his “foreman” or contractor, Michael Millican. Their work in creating the naturalistic landscape that stretches from Chatsworth House to the horizon began in 1759, financed to a great extent by the 4th Duke’s lucrative copper mine at Ecton in Staffordshire. Another recent discovery is the complexity of the patterns of drives and roads around the estate. It seems that the eighteenth-century landscape was primarily designed to be seen from and near the house, and largely enjoyed on foot, rather like the characters’ explorations of Mr Rushworth’s Sotherton property in Jane Austen’s Mansfield Park (1814). During the early Victorian period, the time of the Bachelor Duke, the park was crisscrossed with wide drives, carefully contrived to give advantageous views. Many of these have since been grassed over and largely forgotten. It seems that in the Bachelor’s time visitors were encouraged to enjoy the mature landscape in the comfort of a carriage. When I take groups to Chatsworth, particularly visitors from outside the UK, I make a point as the coach climbs the steep road (realigned in the early nineteenth century) from Beeley Bridge (1759) of explaining that everything within sight – buildings, grass, trees, water – is in fact contrived by man. And you wouldn’t get planning permission for it now. Especially as it lies in a National Park. The portal for information about visiting Chatsworth is http://www.chatsworth.org. This entry was posted in Country Houses, Life-enhancing experiences, The Derbyshire Derwent Valley, The Derbyshire Derwent Valley 2016 tour on December 29, 2013 by Mike Higginbottom.